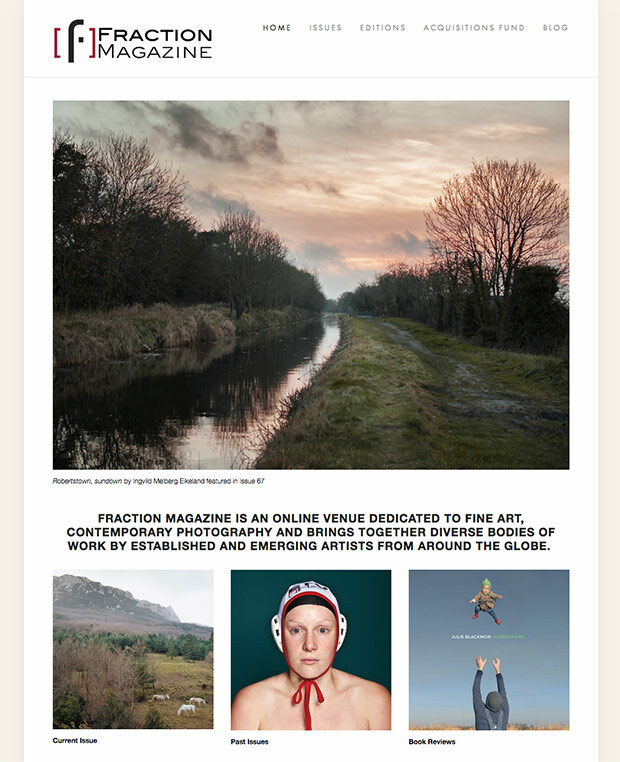 Founded in March 2008 by David Bram and Joshua Spees, Fraction Magazine is dedicated to showcasing photography not yet published or widely exhibited. Focusing primarily on fine art, contemporary work, the monthly online publication has now cataloged more than 300 diverse artists from all over the world. 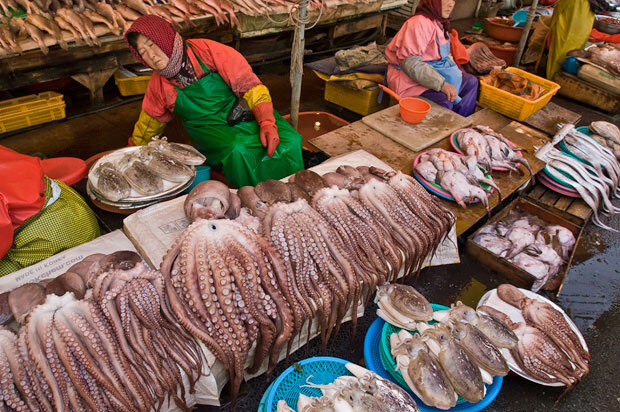 By presenting larger portfolios and in-depth stories, the staff at Fraction challenge the viewer to explore beyond the surface of the image to get at deeper concepts and gain a broader understanding. 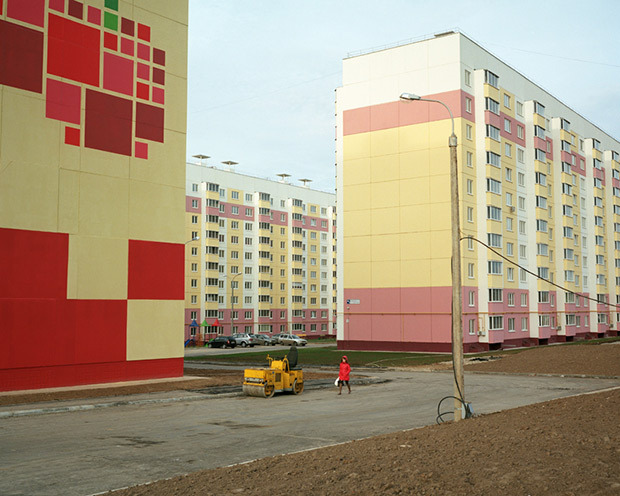 Known as “the town of seven hills”, the city of Cheboksary, Russia is rolling with ridges and ravines that scatter local landmarks and housing across the uneven landscape. 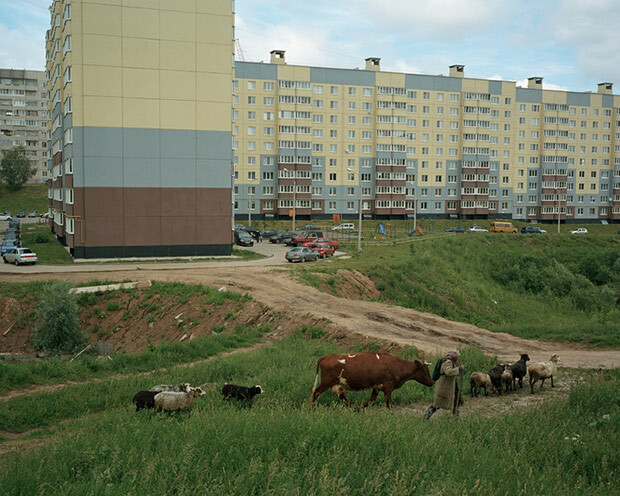 At just under 500,000 citizens, Cheboksary has seen a radical change in the last ten years due to overbuilding and thoughtless use of the land, leaving a dangerous and irrevocably altered region in its wake. Photographer Sergey Novikov documents the curious phenomenon in his series Most Frequently Visited Hills and Ravines. Victoria F. Gaitan, Photographer. From ‘Art Desks’. E. Brady Robinson is a woman constantly on the go. 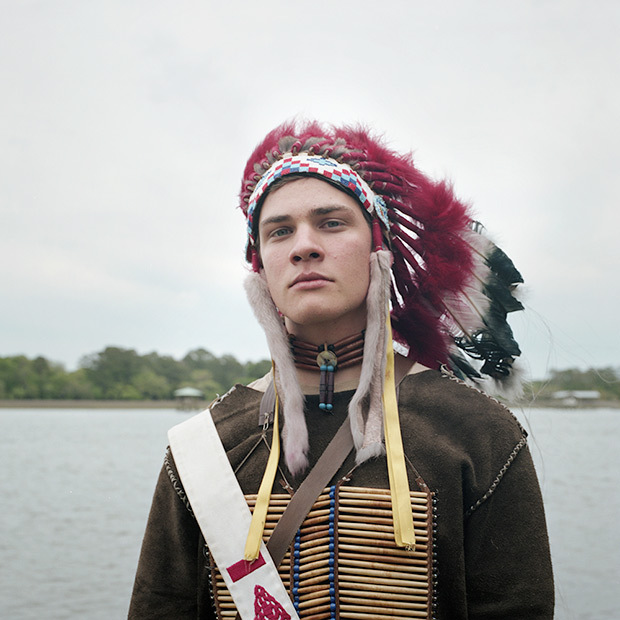 Along with her success as a commercial and editorial photographer, the D.C.-based artist has recently published her documentary photo book Art Desks through Daylight Books. The series features 57+ offices and workspaces of creative people all over the United States. From the posh interiors of gallery curators to the colorful chaos of an illustrator’s cubicle, Robinson paints a behind-the-scenes portrait of some of the biggest names in the contemporary art world. Represented by Addison Ripley Fine Art and constantly traveling for assignments, Robinson found herself needing not one website but two to showcase her many ideas and talents. She tells us about her work, her busy schedule and how Squarespace makes having one website (or two) easy. 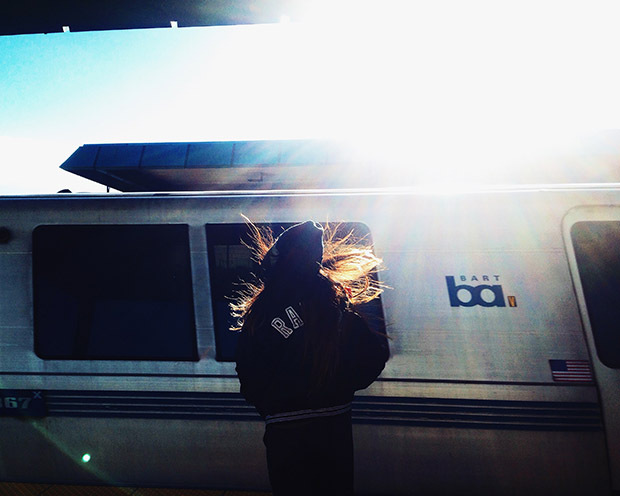 Urban environments and handheld technology can make the world an isolating and lonely place, genuine connections often replaced with texts or tweets. How long does it take to gain some one’s trust or become close enough to share secrets? Can intimacy be concocted in mere moments or does it take years? 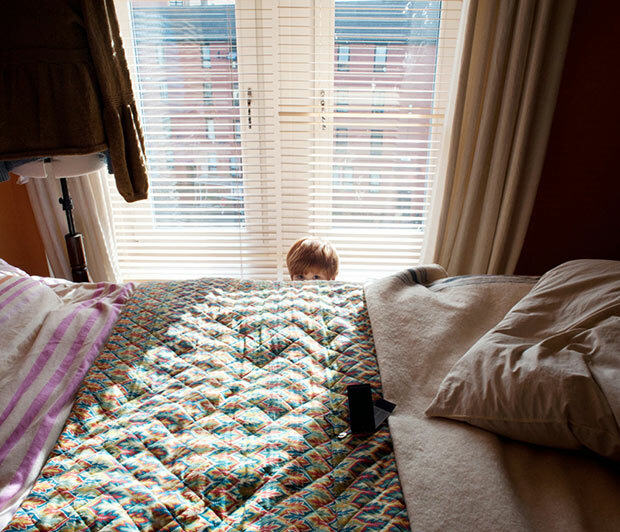 Hemya Moran plays with ideas of communion and relationships in her series Intimate Strangers. Approaching individuals in the street, Moran asked them to have an “intimate acquaintance with her”. They then enacted these private moments in a short exchange, resulting in a series that feels simultaneously unnatural and surreally familiar. 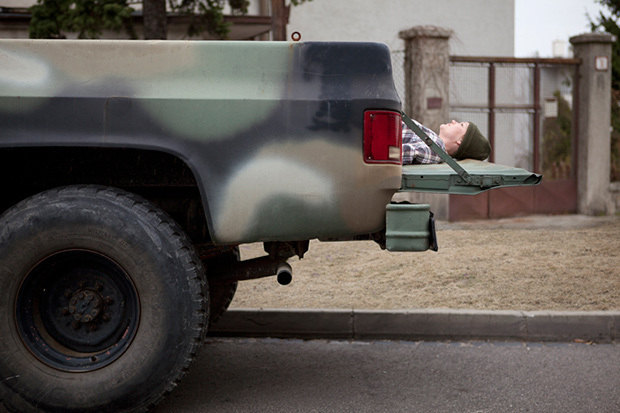 The viewer must guess at the relationship, left to wonder at the origin and truthfulness of each staged setting. The Shepherd’s Daughter is a quiet song of memory and mythos, exploring concepts of mortality and familial history in the snowy woods of northern Michigan. Photographer Clare Benson‘s ongoing series portrays herself, her father and one of her sisters, though the viewer is unable to distinguish who is who. Representing archetypes of past and present rather than actual individuals, Benson’s protagonists navigate a untouched hinterland, attuned to the briefness of life and largeness of the world around them. According the the Autism Society, approximately 1% of the world’s population has some form of autism spectrum disorder. Though a seemingly small percentage, the care for an individual with the condition is specialized, costly and challenging. 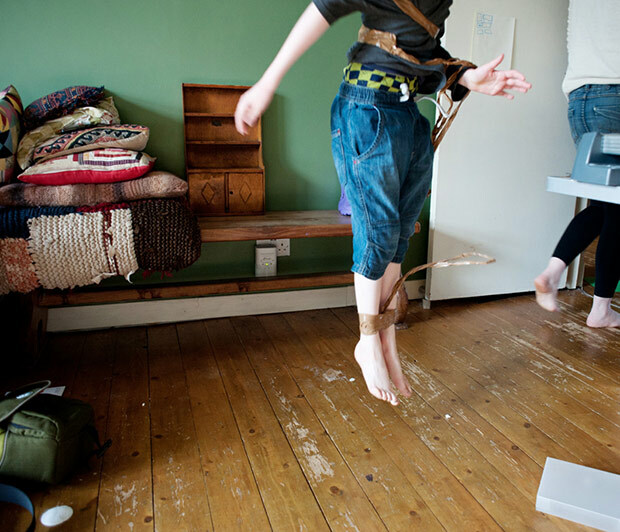 Photographer Sarah Amy Fishlock documents one family’s daily life with autism in her series Amye & Ahren. 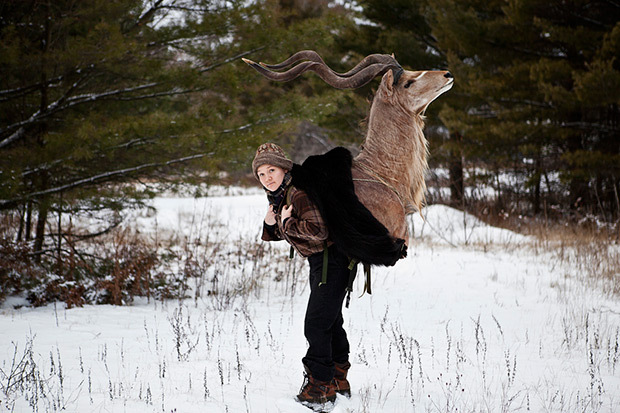 Intelligent and articulate, Ahren was not diagnosed until 2012 at the age of eight. Before learning of his condition, his teachers were unable to make sense of his erratic behavior, resulting in Ahren’s transfer to 3 different schools in the last few years. His family is in a constant struggle to find a place that suits his needs, the majority of his care falling to his mother Amye, who is unable to work in order to give her son the attention he requires. Veteran Michael C. Snell says he is a travel photographer, but is keen to point out the simple description is hardly sufficient. Shooting professionally for almost two decades, Snell has discovered the job requires him to be constantly flexible, always on his toes and full of never-ending curiosity for everything around him. He is based in Kansas but has achieved a worldwide audience and impressive client list including National Geographic, Travel + Leisure, USA Today and Forbes.com. Originally working as an art director and photo buyer for a state travel and tourism department, Snell felt the creative call to become a freelance photographer and has never looked back. Aside from his extensive travel experience both across the country and around the world, he and his wife began the creative agency Shade of the Cottonwood as a way to meet clients needs in an intimate, one-on-one basis. 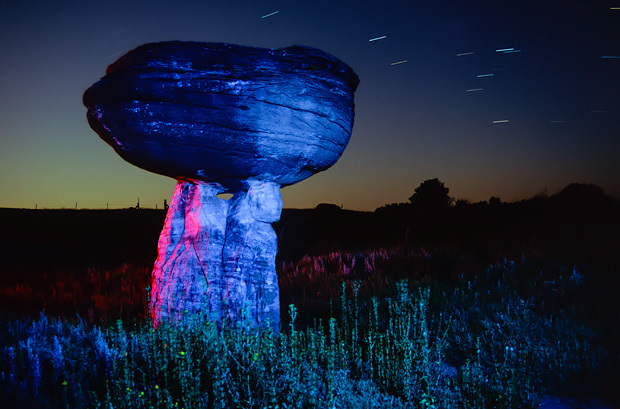 Whether shooting hot air balloons over Egypt or discovering hidden treasures on the back roads in the sprawling state of Kansas, Michael Snell is a man who finds the wonder in what’s before him. He’s also got an impressive photography kit to go along with him on all his adventures. We asked him about Kansas, branching out on your own and why a Tamron lens is perfect for just about any shooting situation he comes across. 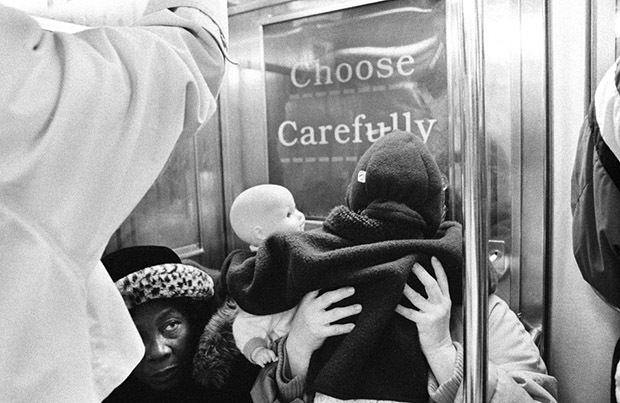 From Mexico City to Moscow, we asked you to show us images of the subway. 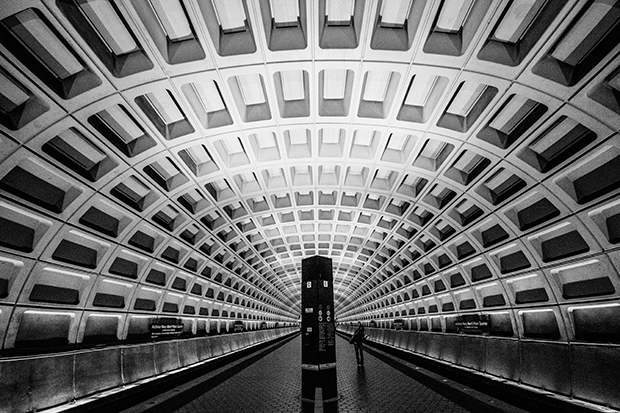 Judged by Travis Ruse, Photography Director at Inc. Magazine, our latest group show presents 35 photos of underground public transport from around the globe. Congratulations to Colleen Cummins, Frederic Ansermoz and Andrea Harnick Tuchman, who will receive a one-year subscription to Squarespace, the innovative website publishing platform perfect for the creative. They make it simple to create professional websites that are 100% customizable, making web design accessible to everyone. Complete with award-winning designs, hosting, domains, commerce, and 24/7 support, Squarespace offers photographers more ways to market themselves and grow their business. Since 2005, the Humble Arts Foundation has been a resource and supporter for new photography, showcasing and promoting fresh ideas and artists around the globe. The site features regular group shows and artists’ profiles. Humble Arts also serves the photo community through exhibitions, grant making and educational programming. Jon Feinstein and Amani Olu are the men behind the helm of this venture, both no stranger to fine art curation and publishing. Based in Seattle (Feinstein) and New York City (Olu), the pair directs Humble Arts long distance. Olu is an independent curator, writer and chief organizer of Young Curators, New Ideas, an annual exhibition that concentrates on curatorial practice. He has also interviewed the likes of William Eggleston and Gottfried Helnwein. Feinstein is a curator, photographer and Manager of Marketing and Partnerships at Shutterstock. 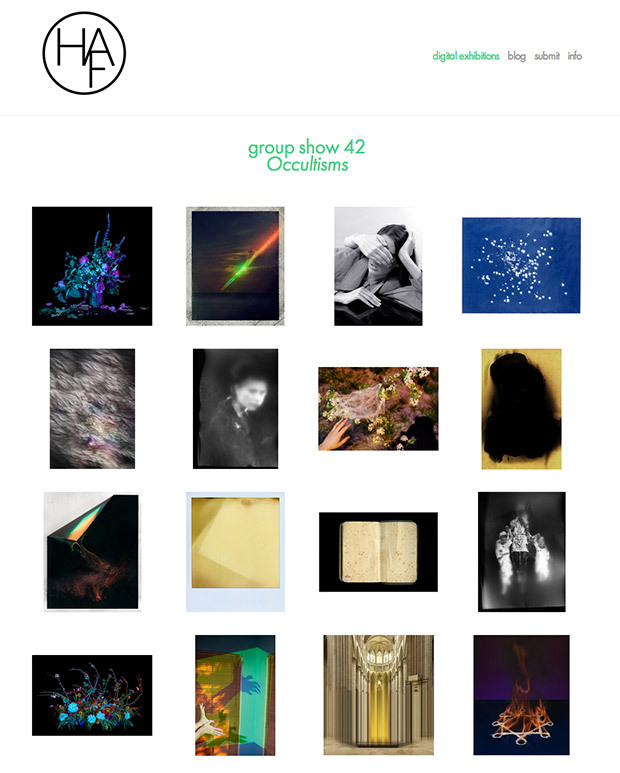 Curating numerous exhibitions, Feinstein has lent his expertise to judging various contests including the New York Photo Awards, Photolucinda’s Critical Mass and Feature Shoot’s Emerging Photography Awards, to name a few. We asked the pair jointly about their love of photography, new trends they are excited about and how Squarespace made sharing great artists even easier. 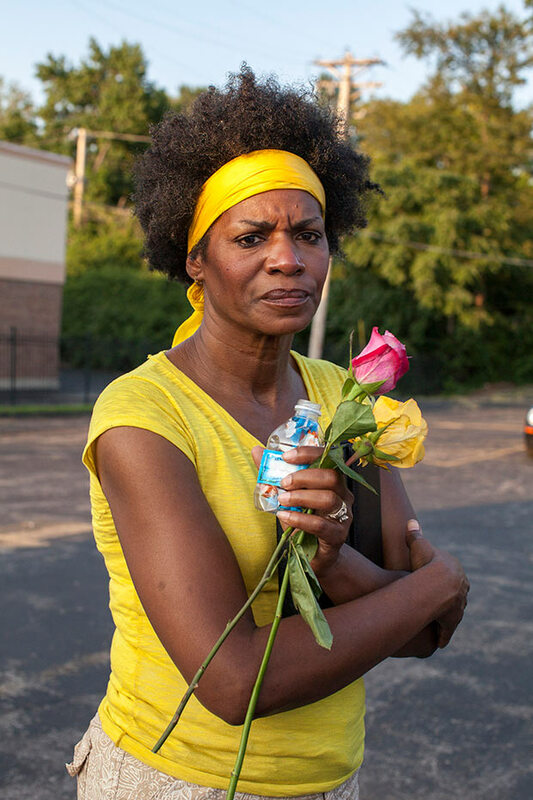 Karen Hill, 56, of Ferguson. 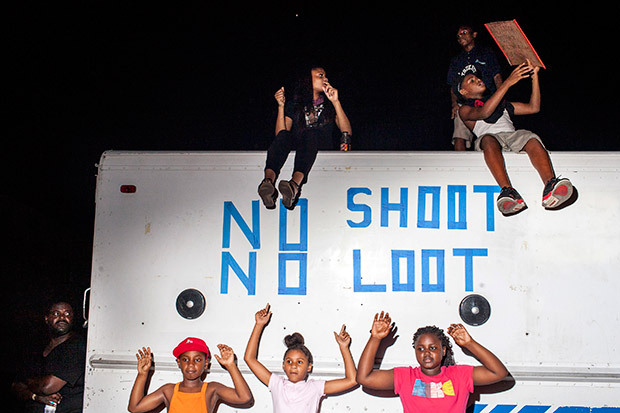 A group of children dance and play during a protest on West Florissant Avenue by a truck, blasting music, with on a sign on it which reads “No shoot, No Loot.” Moments later the police came and made them get down from the top of the truck and turn off the music. 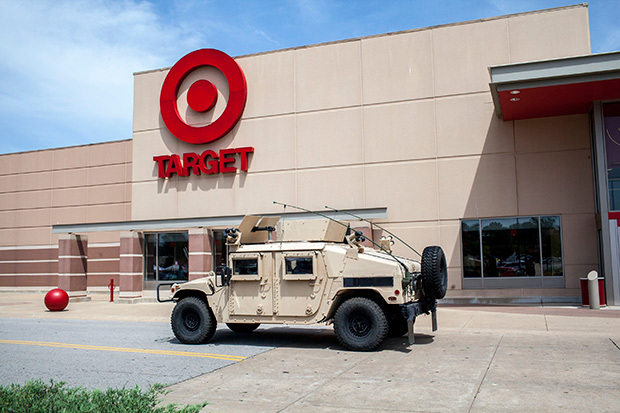 A National Guard hummer drives past a Target in Ferguson, next to a base the guard has set up in the shopping center parking lot. On August 9th, 2014, the community of Ferguson, Missouri was shaken and irate by the fatal shooting of Michael Brown. Unarmed and only 18 years old, the teenager was shot by St. Louis Police Officer Darren Wilson in broad daylight. The people of Ferguson took to the streets in protest and met with tear gas and rubber bullets from local law enforcement. Curfews, tactical military vehicles, machine guns and an overwhelming sense of unraveling authority were rampant through the suburb’s generally quiet streets. The aftermath swelled for days afterward, leaving a town and a country haunted by age-old questions of racism in America. With media and reporters flooding Ferguson’s neighborhoods, photographer Natalie Keyssar was witness to the events that took place while on assignment for The Wall Street Journal. She spoke with us about her on-the-ground experience, the people that she met and the stories that stayed with her long after she left.